Does anyone ever truly “own” a pet? Many pet owners would argue that to some extent, their pets own them too, but in the best ways! Pets provide companionship, as well as healthy challenges that can help an owner grow in their capacity to love and hold responsibility for something. That aside, do dogs or cats make better four-legged friends for pet parents on a budget? Far too many people adopt pets without considering the time and financial commitments. This often results in a glut of shelter pets when the reality of caring for their new family member proves too much. Those considering welcoming a new friend to their fur-ever home do well to account for the cost of pet care when deciding between Fido and Fluffy. Many conscientious people stopped advertising pets for free on the internet for good reason — dogs and cats alike too often fell prey to those seeking them as bait in dog fighting rings. Even honest people who legitimately want pets too often surrender them to kill shelters when costs proved too high. Facebook even banned the sale of animals on its marketplace site for these reasons. The average adoption cost of a cat or dog ranges from $425 to $800 between adoption fees, spay/neuter costs, licensing and vaccination requirements. 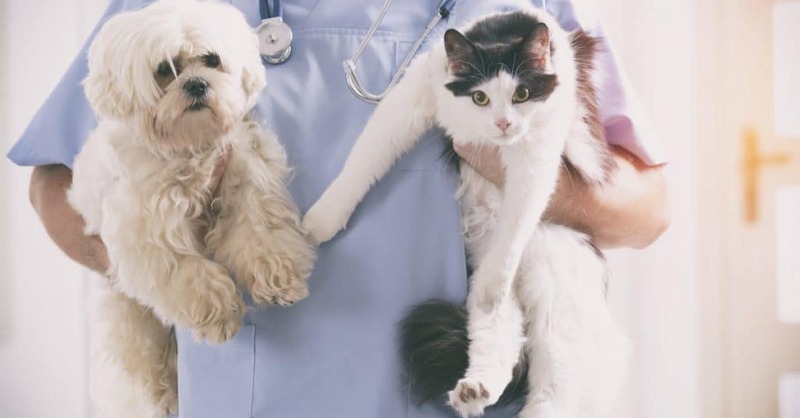 Dogs generally cost more than cats, as many jurisdictions require proof of vaccination records due to rabies risks, and indoor cats seldom pose the same risks. Purebred canines cost far more to bring home than shelter pups. The price of pet insurance depends upon animal type and living conditions. Indoor cats generally cost less to insure annually at just over $300 per year. Canines must venture outdoors to do their business and take exercise, increasing accident risks. Breeds particularly prone to certain health conditions may cost more to insure as well, though the average pup can find coverage for around $500 per year. Why buy health insurance for your pet? Veterinary costs keep loving pet parents from preserving their best friends’ lives over financial reasons. Many Americans experience difficulty raising even $400 for emergencies, and an injured animal can require thousands of dollars to treat. Pet insurance prevents having to make the heartbreaking decision to say goodbye to your pet too soon. The joy – and bane — of many pooch parents’ existence is how much their canine kids eat. Dogs will eat nearly anything, but some human foods can prove poisonous to Rover. Cats can get persnickety when it comes to feeding time. Even though Penny the Persian eats far less than Danny the Doberman, she very well may insist upon particular brands or turn her nose up at improperly prepared rice. Some pets suffer food allergies like humans do. Others may develop sensitivity to certain ingredients. While foods and supplements for pets with sensitive tummies abound, they can cost more than regular chow. 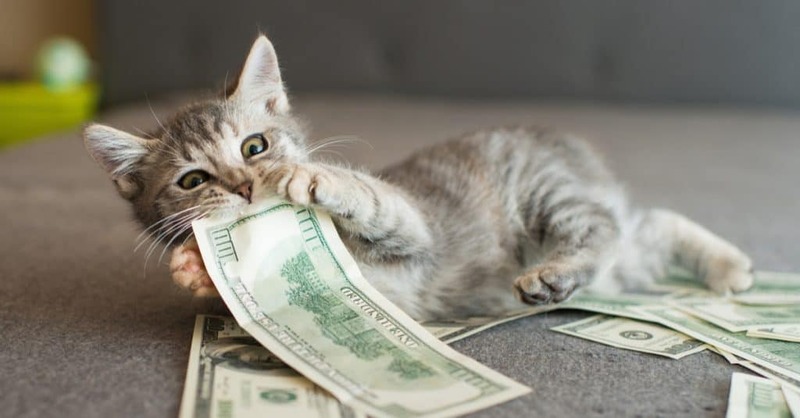 Medium-sized dogs cost approximately $750 per year to feed, while cats only cost about $250. Those who own their own homes need consult only their immediate family members before adopting a pet, but those who rent their homes must consult their landlord prior to bringing a new buddy home. Some landlords forbid pets altogether while others have breed and size restrictions. As much popularity as dog breeds such as Staffordshire terriers enjoy, some cities and townships even forbid their possession. Homeowners may need to purchase additional liability insurance in the rare instance their canine causes harm. Indoor cats seem easy on the surface but can destroy furniture and flooring in the swipe of a paw. Bored kitties cause the most mischief, so those adopting a cat would do well to invest in climbing trees, scratching pads and toys to keep their miniature jaguar entertained. Declawing cats who shred expensive belongings is not a good option, as it creates the equivalent of chopping a human’s fingers off at the first knuckle. Many declawed felines develop litter box problems as the stones aggravate their wounds and begin to bite, as they’ve lost their first line of self-defense. Don’t declaw your kitty! Pets can cost a lot even if they never develop serious illnesses or chase cars like a greyhound after a rabbit. Enjoy taking off for a weekend road trip? 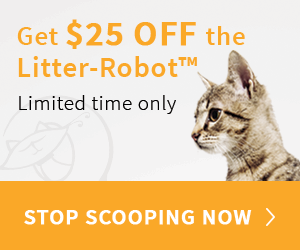 If a beloved pet lacks “car legs,” plan on coughing up the dough for a sitter. Job losses and budget cuts affect even the most diligent workers, so those lacking an emergency fund may reconsider adopting a new buddy. Most pets will adapt to leaner conditions, but just like people, they still need food, water and shelter. 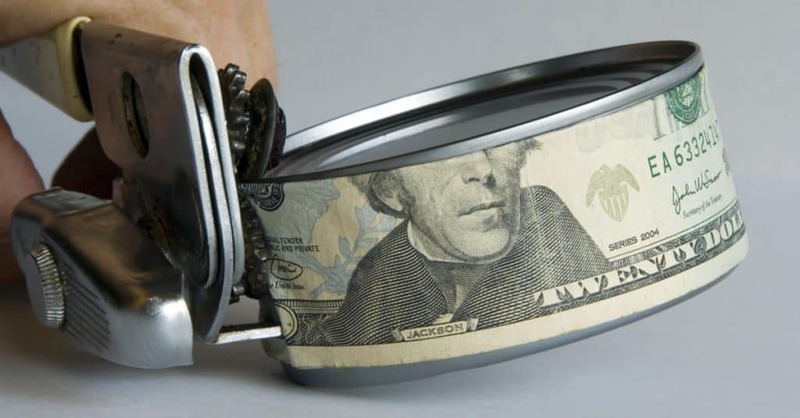 If money will remain tight for the foreseeable future, hold off on adopting (or perhaps stick to a goldfish). To Adopt a Cat, a Dog, or Not at All? Sharing life with a feline or canine companion can make life more meaningful and less lonely. 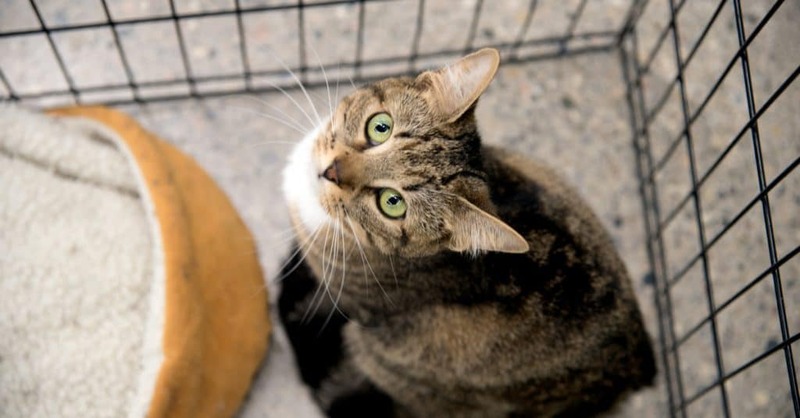 Whether adopting a dog or a slightly-less-expensive cat, those who wish to open their home to a non-human critter do well to check their numbers first. Pets provide unconditional love — the least humans can do in return is ensure them the best life possible. This post is sponsored by PSECU, a Pennsylvania-based credit union. This is a very good article and covers many questions. We adopted a sweetheart of a cat and are over the moon about her. She’s so different than our previous cats. She has the best personality, very friendly, affectionate in her own way (not a lap cat but loves to be in the same room w/us). We feel blessed to have her in our lives & hope to have her forever.